We’re starting to roll-out version 14.5 of SpendMap. Some of the features listed on that news announcement are only available in the web-based version of SpendMap but don’t worry; there’s plenty of great new stuff in the free Windows/desktop version too. Stay tuned for more details and instructions on how to upgrade your system. 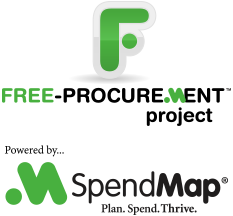 And if that wasn’t enough, we’re already hard at work on the next evolution of the Free Version of SpendMap. There’s some pretty cool stuff coming in 2018. ← SMB Purchasing can be Boo-Scary!